Our award-winning app will save you time and money on farm paperwork, helping you avoid compliance penalties and maximise on spec bonuses. Your information is safe and secure, for your eyes only. And if you lose your phone, your farm records are safe, we've got you covered. It's almost impossible to make mistakes in Herdwatch. And if you know how to send a text, you can definitely use our app, it's that easy. Get your cows back in calf quicker. Save hours on farm paperwork. Fast, paperless Bord Bia compliance. Pesticides compliance in seconds, as you spray. Approved by the Department of Agriculture, ICBF, and fully compliant with Bord Bia. 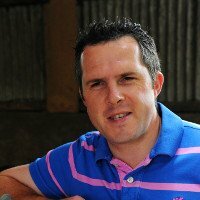 Since day one, Herdwatch has been backed by FRS Farm Relief Services, a farmer-owned co-operative established almost 40 years ago, providing skilled people in farm services, fencing, training and recruitment via a nationwide network of 20 offices. We are very proud to part of FRS Network. Our Basic plan is free to all farmers. "There is no more rooting through pieces of paper or looking at excel sheets. 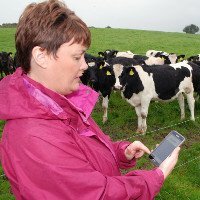 It’s all there in the one app – that’s the beauty of Herdwatch." 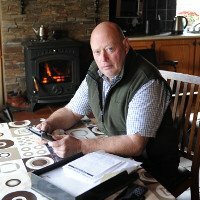 "Before Herdwatch, I had to record everything manually… being able to record everything on your smartphone as you go about your daily duties has greatly improved the paperwork side of things for us." "You don’t feel a cross compliance inspection or Quality Assurance audit creeping up on you. The fact that all the information can be retrieved in seconds, and all I need to do is print off a few reports at audit time, takes all the stress of the inspection away."